The accident is one of the major causes of death. 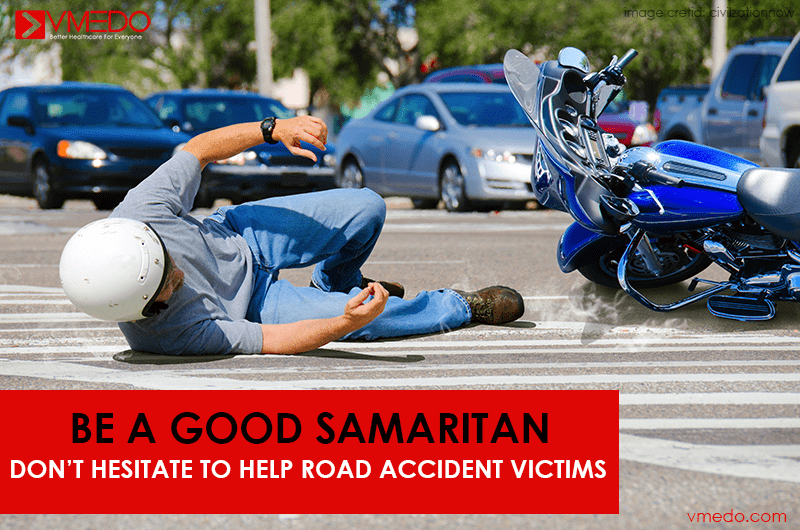 Every year, Over 2 lakh people and every hour 16 people die due to road mishap in India. Lack of proper roads, rash, drunken & negligent driving is to be blamed for such a high number of deaths & accidents. So, it’s better to know what to do if there was an accident. 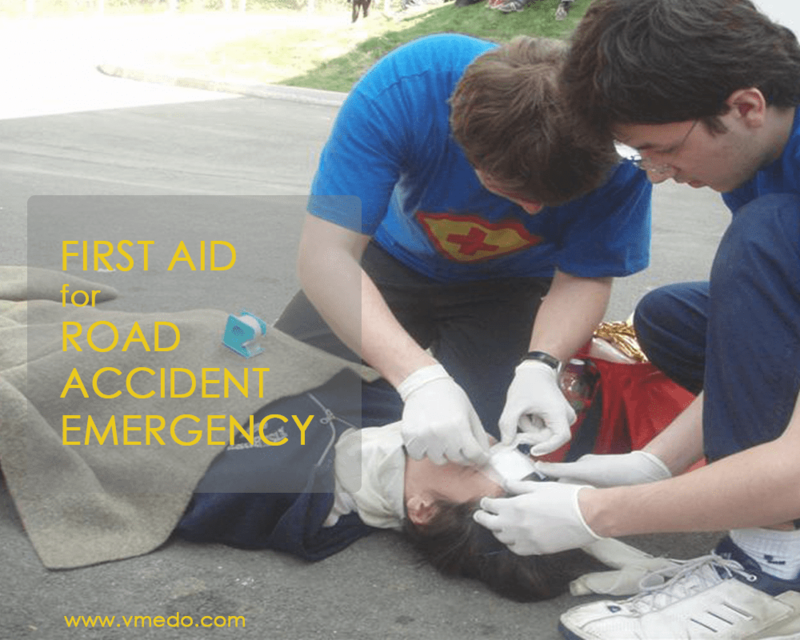 Here are 9 First aid steps that can help a road accident victim. If you are injured in an accident, Check yourself first & ensure your own safety for any injuries or heavy bleeding. 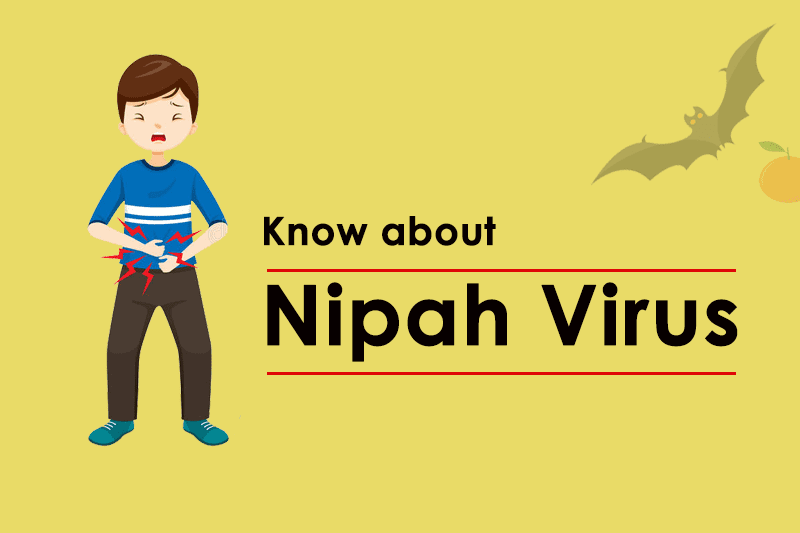 Try to assess the condition, how easily you can move the arms & limbs, and if you are experiencing any dizziness or other symptoms. Remember you need to be fit enough to help others and to prevent additional causalities. Once you are fit enough, check for others and the extent of their injuries. 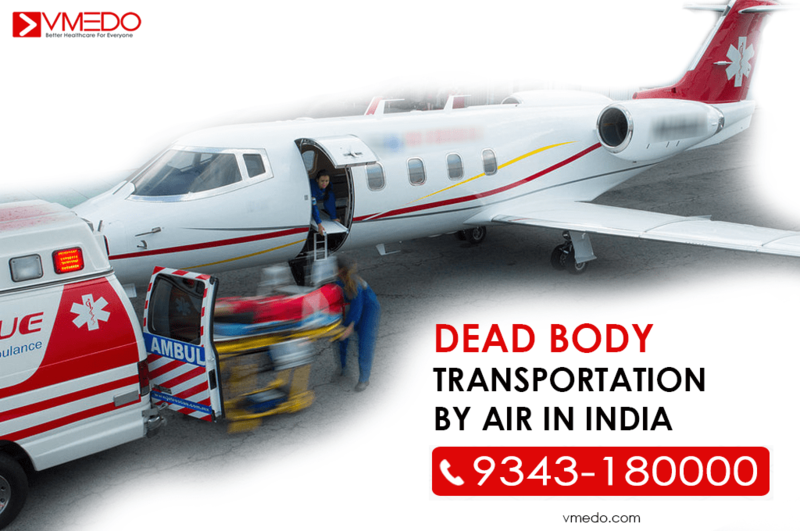 Give priority to treat the causalities first, which are seriously injured, bleeding heavily & the one who is not breathing. 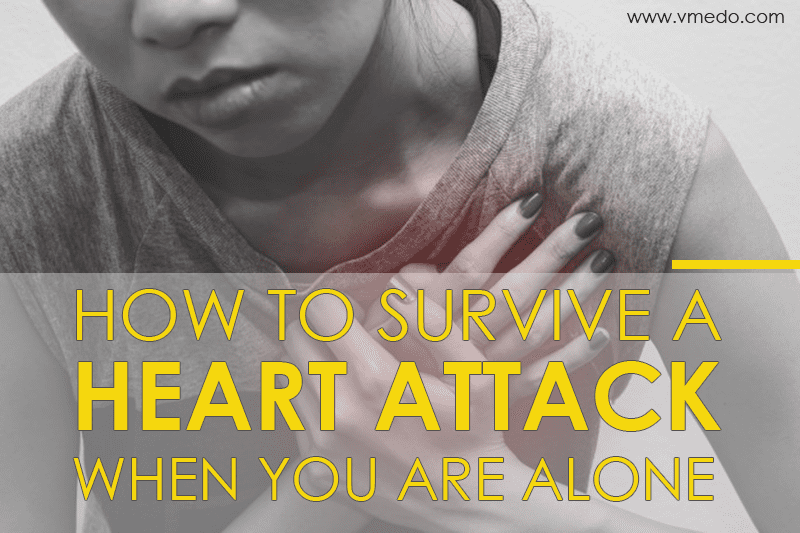 Then check for others who are breathing and move them to a safe place. If the person can respond correctly, then most likely he has not suffered a severe head injury. Then check for their breathing & pulse. And move them to a necessary place, support their neck & head to avoid twisting. 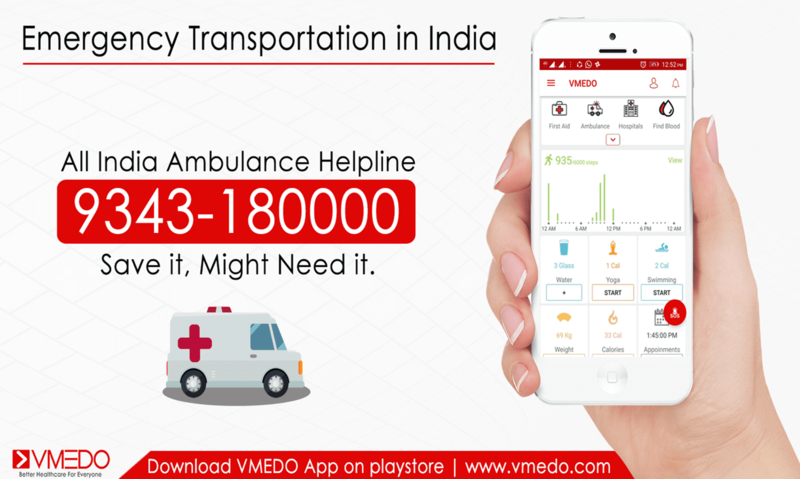 Call medical helpline/ Ambulance Service: Call emergency Ambulance or emergency medical services to inform them about the incident & ask their advice to resuscitate & rush the victims to a hospital immediately. Check for any obstructions in mouth & throat: If the person has stopped breathing, check his mouth for any obstructions that are troubling him to breathe. Use your index finger to clear the airway. 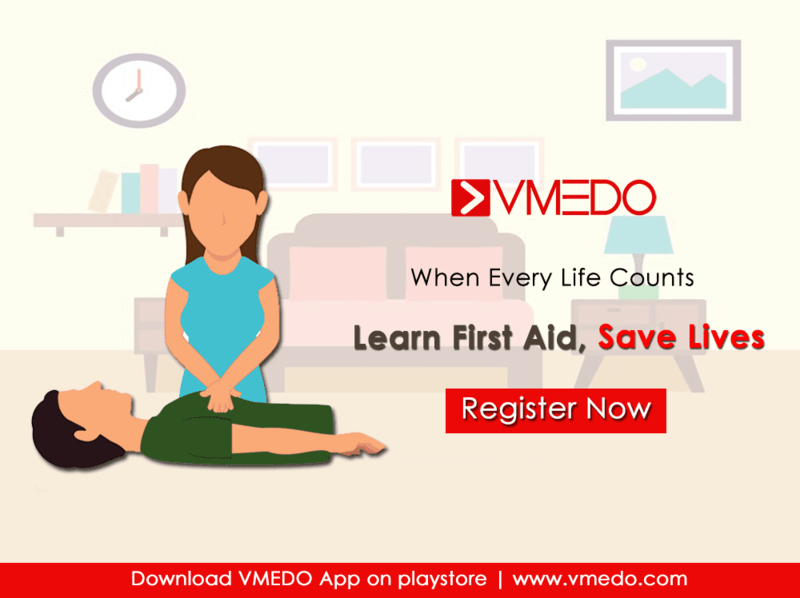 Perform CPR, the life-saving techniques: If the person is not breathing, no pulse or unresponsive then perform immediate CPR (Cardiopulmonary resuscitation). Place the person in a flat surface/space & keep his neck straight to start CPR. 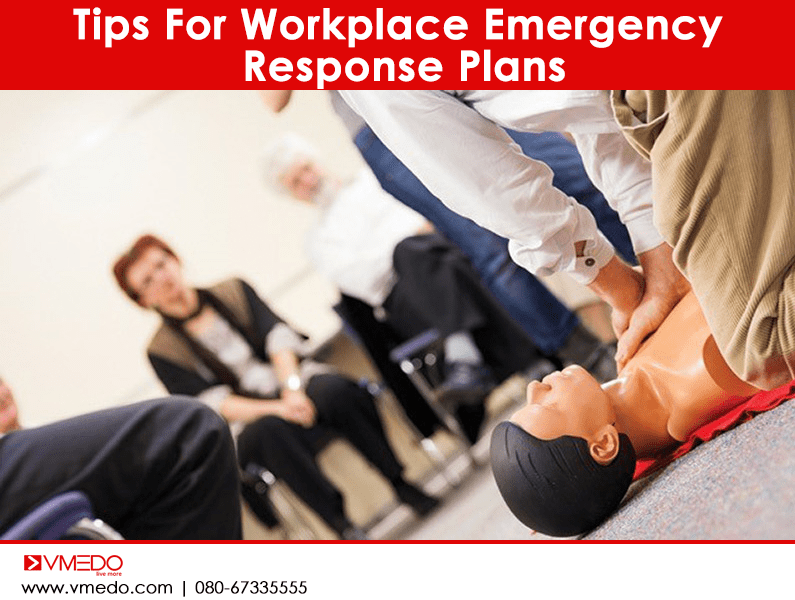 Always place the person in the recovery position. Avoid choking: If the patient is vomiting or any bleeding from the mouth, turn the person on their side to avoid any chances of choking. Place the person straight and arms across the chest. 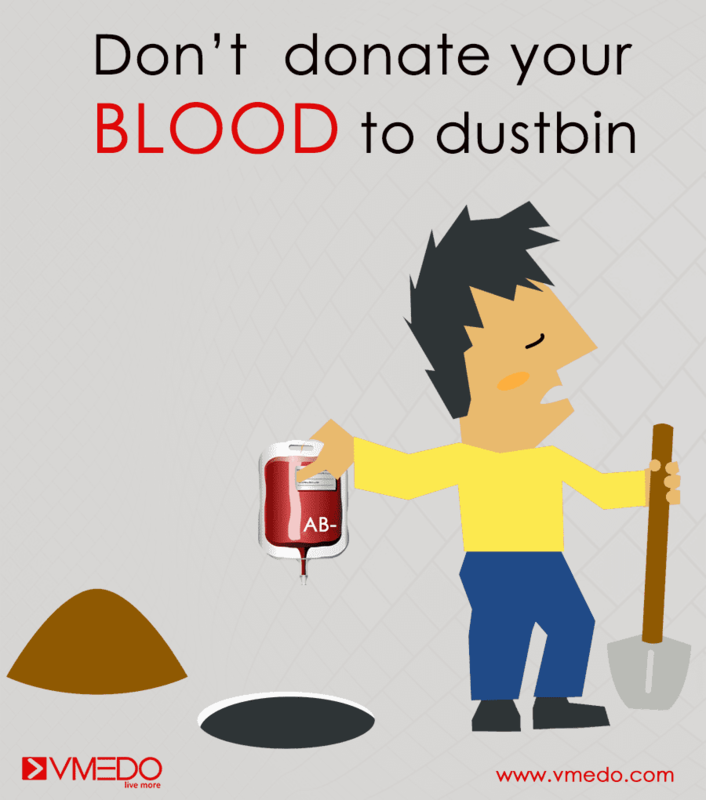 Do not give anything to eat or drink to the accident victim which can cause choking. 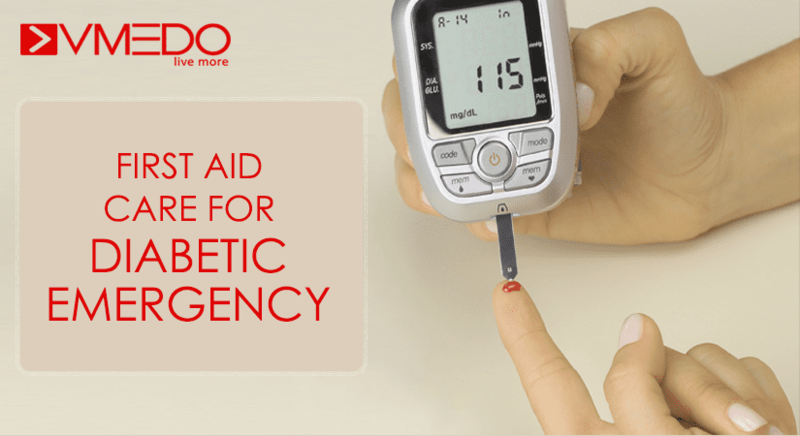 Treat the open wounds: If there are any open wounds with heavy bleeding, try to control it by applying firm pressure using a clean cloth or soft pad. Press gently using palm and treat the fracture. 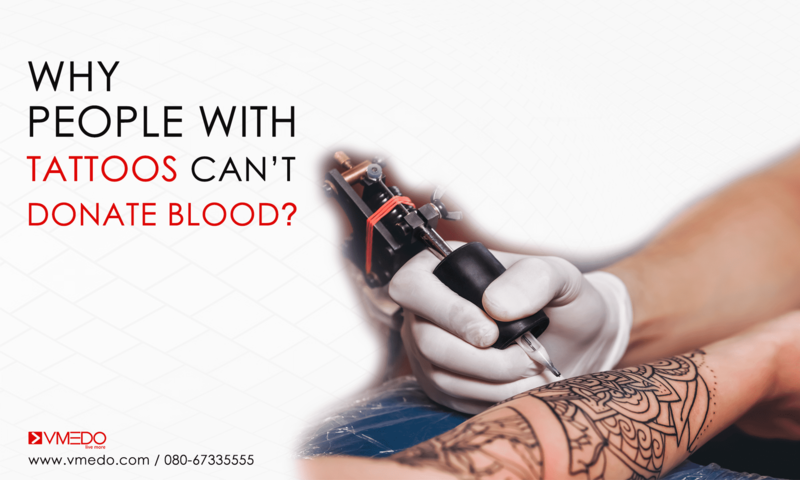 But before treating the patient, make sure that it doesn’t affect or cause further more injuries. Treat as spinal injuries : (Always suspect spinal injuries): If the person’s neck is not normally placed and the person is unconscious, then do not move the person unless they are in immediate danger and avoid twisting the neck. 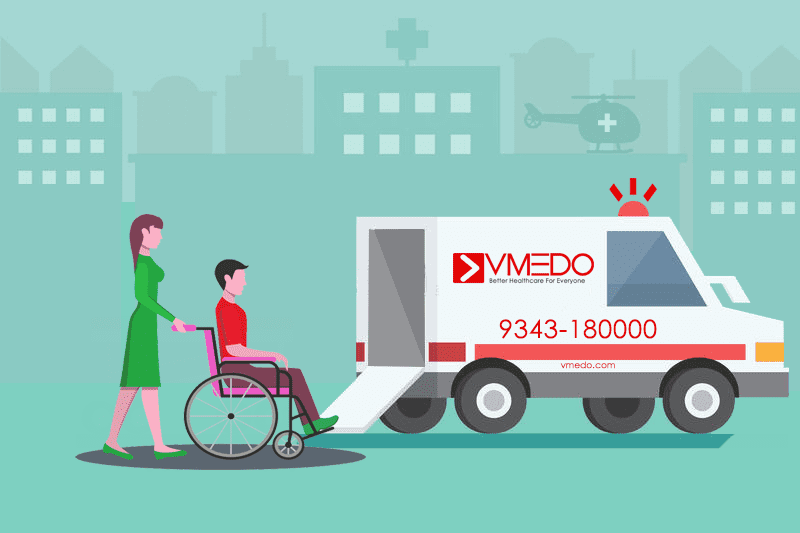 Moving the person whose neck is broken can cause more harm to the victim. Keep the victim warm: Accident victims feel excess cold due to shock. So keeping them warm using pullover, a jacket is highly essential. 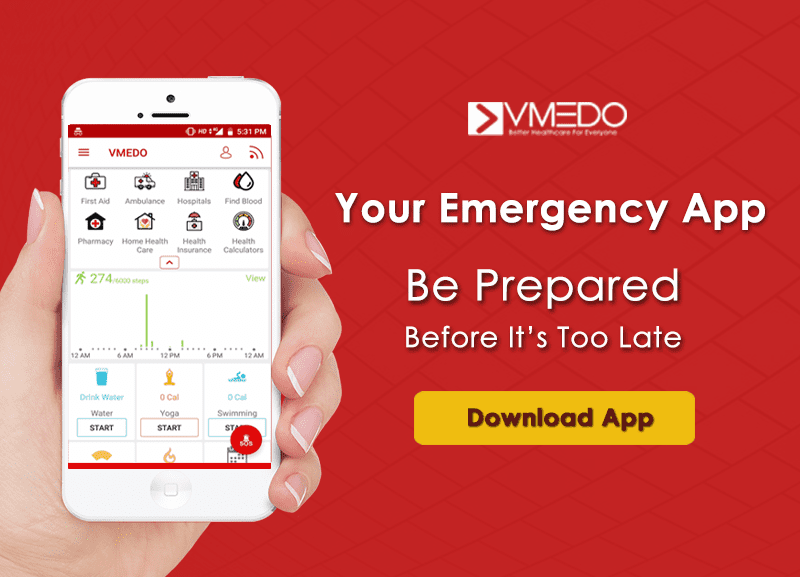 For any Medical Emergency Services/ambulance Services Call VMEDO Ambulance Helpline number 08067335555 or visit VMEDO and Register. Next articleHow To Perform CPR on Adults & Kids ?